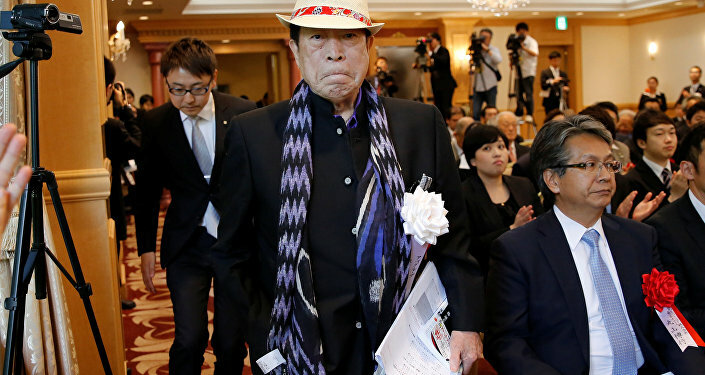 MOSCOW (Sputnik) — The mayor of the western Japanese city of Osaka Hirofumi Yoshimura is planning to cut sister-city ties with San Francisco after the US city's decision to accept a statue representing the so-called comfort women, who suffered from sexual enslavement at the hands of the Japanese army during World War II, the NHK broadcasting organization reported Friday. According to Yoshimura, accepting the statue meant Mayor of San Francisco Edwin Lee was willing to show it to the world, adding that the relationship of trust between the two sister-cities has been ruined, media reported. Last week, the city council of San Francisco unanimously voted to accept the donation of the statue from a private group. "Comfort women" is a term used to describe women forced to work in wartime brothels for the Japanese military during World War II. With the exact number of women involved in the practice still the subject of debate, most of the women were taken from countries occupied by Japan between 1932 and 1945, mainly Korea, China and the Philippines. "We are concerned that this step might chill bilateral relations at a time when Japan and South Korea are making efforts to develop relations which look forward," Yoshihide Suga, the chief cabinet secretary of the Japanese government, said, commenting on the issued protest. Erecting comfort women statues in the US and in other countries contradicts the stance of Japan on the issue. In January, Tokyo recalled its ambassador to South Korea over a monument to comfort women erected near the Japanese consulate condemning Seoul’s inaction over the statue, citing the country’s violation of the Vienna Convention on Consular Relations, which obliged a host country to protect the dignity of a consulate. 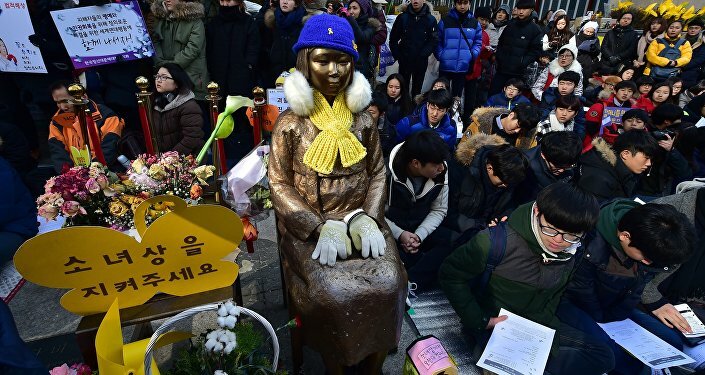 In December 2015, Japan and South Korea reached a deal on the issue, ending the long-standing diplomatic feud over "comfort women," with both sides having agreed to set up a foundation for sexually enslaved Korean women under the deal, which the Japanese government poured 1 billion yen ($8.8 million) into for the support of the surviving victims and their families.